I finished my Echino quilt top last week, after practically a 6 month break. I'm not sure why it took me so long to pick this one up again, I really love the Echino patterns and colors. 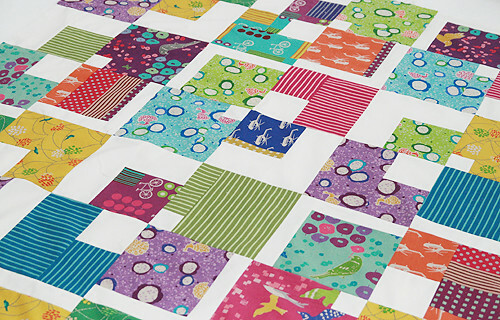 And I even have enough fabric left over to make something else fun...perhaps an improv quilt like Elizabeth? I will be working on the back this week...still throwing around ideas in my head. I'm not sure how to quilt it either, any suggestions? I do need to get to the store to buy batting today. The snowpocalypse is on the way to Chicago and I'm getting excited for a potential 18+ inches of snow!